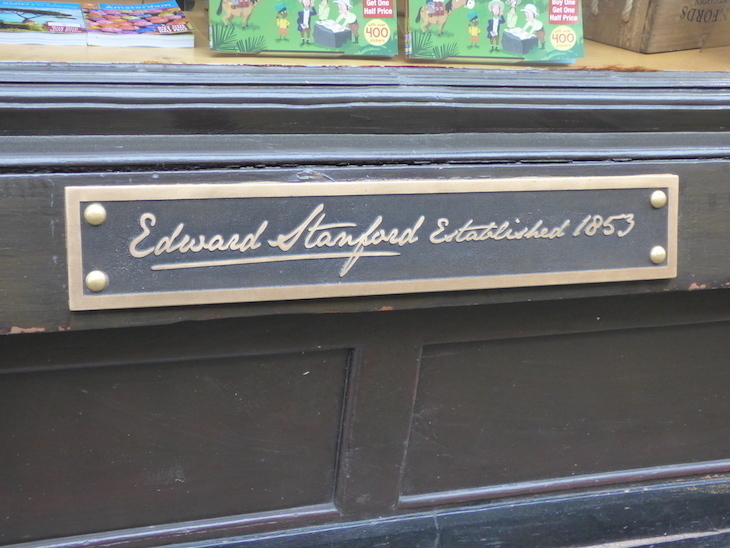 Stanfords' current Long Acre shopfront. 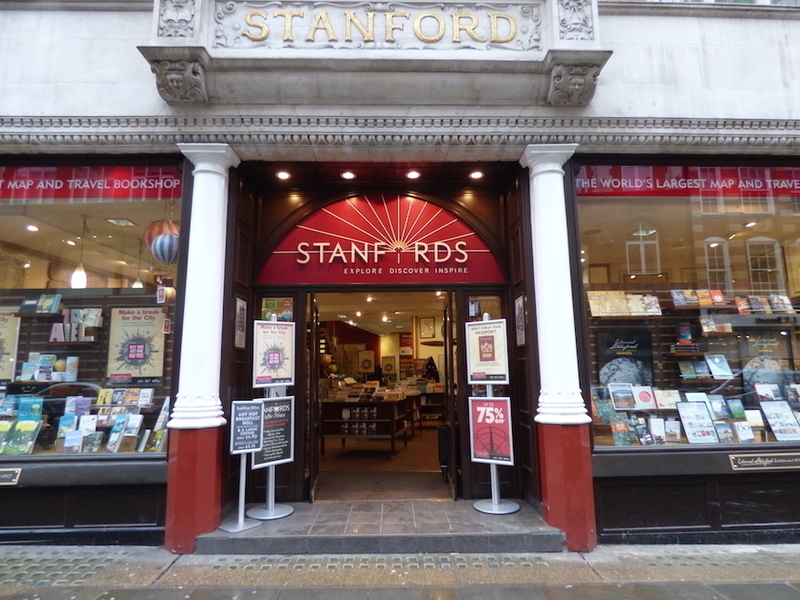 Stanfords travel bookshop is closing its store on Long Acre in Covent Garden and relocating to a new store on nearby Mercer Walk. It has the world's largest collection of maps, travel books and globes, and has supplied cartography for the likes of the British Army and James Bond films — oh, and the cafe does a cracking hot chocolate. The new store will have an outdoor space, and a large stockroom to allow the online side of the business to expand. As for those famous map floors, the current ones won't be moving to the new store (can we salvage them for Londonist Towers? Please? ), but new floor maps will be installed in the new shop. They'll be more durable and smaller, making them easier to replace when they need updating. Back in @stanfordstravel doing my latest bits of travel planning. Next stops: Cambridge and Edinburgh. The move will take place in January 2019, but the ground floor of the new 7 Mercer Walk store will host a Stanfords Christmas gift boutique, opening sometime in November. There will be a six-month exhibition, beginning in March 2019, showcasing some of the artefacts unearthed in the current building, including letters from Captain Scott and Florence Nightingale. Keep an eye on the Stanfords website for more information.